Now you’ve got your full licence you’re free to roam this great country and there are thousands of kilometres of spectacular driving to be had. However, you’re still a novice at driving and there will be situations that you won’t have experienced. Rather than learn by making a mistake, check out these six ways which frequently cause new drivers accidents. Road signs are generally good on main routes, informing you when there is a sharp corner or some unexpected road feature like dips or gravel. In rural areas, though, these signs are much less frequent. Check out our article about the dangers you’ll find driving on rural roads. You are more likely to misread the road at night than during the day. For example, this could be an optical illusion that makes the road look like it goes to the left when it really goes to the right, or the corner could look quite gentle but it tightens quickly and you are carrying too much speed into it. It can also happen with uncommon weather events. Black ice is ice that you cannot see, but it is extremely slippery. On frosty mornings, sheltered areas where the sun hasn’t reached may stay very slippery for much longer than the rest of the road. If it’s been sunny for several days or weeks without rain a layer of road grime (rubber, oil, etc) builds up on the tarmac and when it rains this is slippery until the water has washed it away. Modern cars are so capable that it is easy to speed. Cars are so refined that in newer ones you can barely hear the engine at 100kph. They’re comfortable and handle well; almost all new cars have anti-lock brakes and some kind of electronic stability program which will include traction control and systems to help you avoid a skid. However, your ability to judge speed is something that you develop over time. If you are going too fast for a corner, all the electronic intervention in the world won’t give your tyres extra grip. As you gain more experience you will learn how to react in situations where you are surprised or inadvertently are going faster than the road conditions suggest (for example, hitting an unmarked patch of gravel). The steadier you take it, though, while you are still learning, the more likely you are to survive these incidents. Check out our article about how to keep under the speed limit. You may have never experienced any kind of vehicle maintenance before. If your parents had cars it’s likely that they will have had them serviced and perhaps performed basic checks, but there’s no guarantee they passed this knowledge to you. 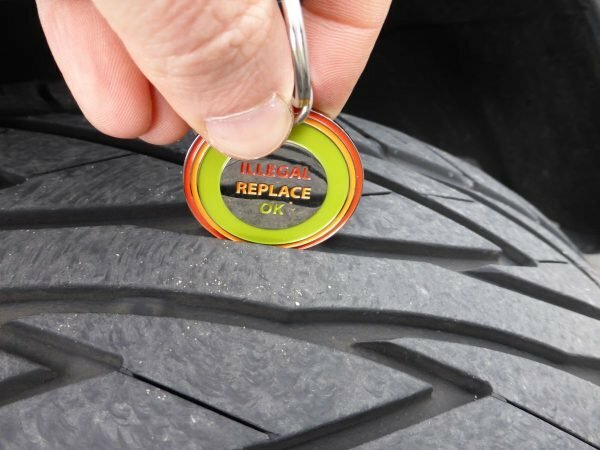 Tyres are the most important part of your vehicle as they are what keep you on the road, and the two things you need to check are tread depth and pressure. Tyres have grooves cut into them, therefore they consist of channels and blocks (the blocks being the raised part of the tyre that comes into contact with the road). Now, you may have seen motor racing where they have slick tyres (tyres with no grooves). These are extremely soft and have awesome grip in dry weather. However, they lose their grip in wet weather because the tyre cannot disperse water and instead rides on top of the water (aquaplaning). The tyre’s grooves are where water is channelled so that the blocks can maintain contact with the tarmac. The less tread depth you have, the quicker you can get into an aquaplaning situation in the wet. In dry weather, if you have a lot of tread depth you will get slightly more movement of the blocks on the surface, but this is really only apparent when you are driving at the limit, which you will not (and should not) be doing. Modern tyres are designed to operate in wet or dry with full groove depth and will provide excellent grip. You can find out the minimum tread depth required for cars here. 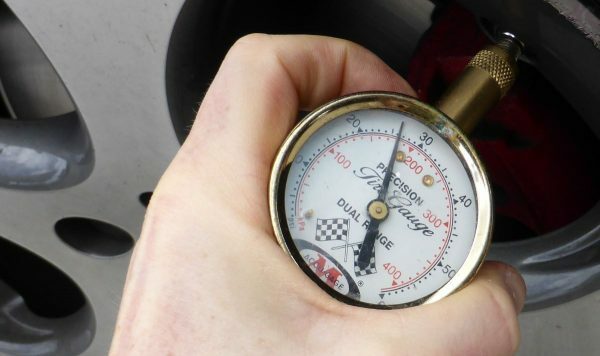 The volume of air in the tyre gives it its pressure, which is measured in psi (pounds per square inch). Most tyres on cars operate around 28-32psi, although if you have very low profile tyres this might be different. When your tyre is flat (under-inflated), more of it is in contact with the road, but the tyre is less rigid. This means that if it is exposed to lateral forces (e.g. cornering), the sidewall of the tyre flexes and there is the risk of the tyre separating from the rim. When your tyre is over-inflated, less of the tyre is in contact with the road and the tyre is harder, which means it doesn’t absorb undulations in the road as well. Instead, it transmits these through the suspension which will wear your suspension out quicker. If your steering feels particularly light your tyres may be over-inflated. You will have much less grip on over-inflated tyres. Tiredness dulls your reflexes and exposes you to the risks of falling asleep at the wheel. The average driver needs to make a correction at least every one or two seconds to keep a vehicle one the road. If you fall asleep for more than a couple of seconds (a microsleep) then you will almost certainly go off the road. You can very briefly stave off tiredness by winding down the window or turning the air conditioning onto really cold, but you might get ten, maybe fifteen, minutes maximum. The only way to combat the tiredness is to stop and have a break, preferably with a short nap of 10-15 minutes. Learn how to tell if you are driving drowsy. Distractions come in many kinds on the road. Check out our article on the biggest driving distractions here. Basically, anything that takes your eyes off the road is a distraction. This includes your speedometer (you’ll need to glance at it to check your speed, so it’s an essential distraction), friends in the car, children or pets in the car, road signs (the kind that advertise businesses, garage sales and cheap fruit…often with misspellings), various types of pedestrians, interesting objects which could include anything from a particularly beautiful tree to a classic hot rod, your mobile phone and desperately needing to go to the toilet. All of the above rob your attention and make you less efficient at controlling your vehicle. The distractions can cause you to not see a vehicle in front braking (and therefore you run into the back of it), or you might misread a corner, or fail to stop at an intersection. Of course, if you are riding a motorbike, another distraction is not being the right temperature either through not enough clothes or too many clothes. If you get too cold on your motorbike then you do risk starting to exhibit signs of hypothermia, one of the first of which is the inability to think straight or react quickly. Riding a motorbike in hot weather. That covers off the major causes of accidents in new drivers. They’re a mixture of a surplus of confidence over ability, a lack of experience in reading the road, and a lack of knowledge about how to effectively maintain a vehicle.